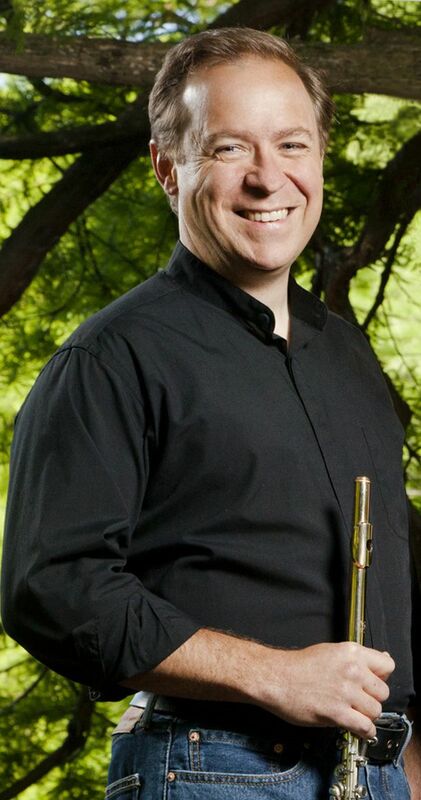 As the flute professor at University of Illinois, Jonathan Keeble is known for his rich tone, effervescent personality, and nuanced musicality. In high demand as performing artist and master class clinician. he has been described as having an “infinitely flexible sound, with many subtle colors,” and is among the leading performer/pedagogues of his generation. Jonathan’s passion for new music led him to commission many new works for the flute from rising young composers. From these efforts come the recently released, critically acclaimed recordings, Voyage and Song of the Black Swan as the Aletheia Duo, and Turbulent Winds with the Prairie Winds. Critics have lauded the collaboration in Voyage as being “memorable,” and Keeble’s performance as “spellbinding.” InSong of the Black Swan, his playing is lauded as “exquisite” (Fanfare Magazine) and “Keeble’s depth of tone and palate of colors is magnificent throughout the album. This is a fabulous addition to a … CD collection, both for the quality of the performance and the diversity of the repertoire.” (Flutist Quarterly) He is a regular performer, adjudicator, and presenter at National Flute Association conventions, and is currently Immediate Past President of the Association. Jonathan’s is the flutist for the award winning Prairie Winds and Aletheia Duo, and Principal Flute of the Sinfonia da Camera. He spends summers performing and teaching at Aria International, Madeline Island Music Camp, and at the University of Illinois Pre-College Flute Seminar.